Would you use Amazon's new subscription book service? 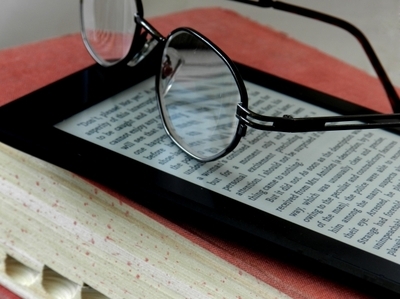 Amazon has announced a new subscription service for ebooks. For $9.99 a month users will have access to Amazon's collection of over 600,000 books. The catch is that you don't get to keep them, just rent them in a scheme that has been described as "Netflix for books." Do you think a service like this would be worthwhile for you, or would you not read enough books in a month to get your money's worth? What effect, if any, do you think this model might have on publishers and libraries? Personally I don't think I'd use it because I already have a giant backlog of print and ebooks to read, since I don't have time to get through as many of those as I'd like. . I listen to a lot of audiobooks but I already have a subscription service for that through Audible.com plus access to free audiobooks through the library. If I do spend money on a book I want to have it to keep. I can't really see this hurting libraries much at all, but I can understand that publishers might be unhappy about it. I probably wouldn't use it. I'd more than likely get my money's worth out of it, but I'd very much like to be able to keep books that I like. Maybe I'm just a bit of a hoarder that way, but going back and rereading a book after a year or so is a singular pleasure. I can definitely see publishers having issues with this, as they're likely going to be getting the short end of the stick when it comes to money. As for libraries, I think libraries are already facing pressure and having to adapt, so I don't think it'll impact them in ways that they aren't already reacting to. No because I DESPISE the politics of Amazon. I refuse to give them a red cent. I read my books on my kobo e-reader. I dont read online books and still prefer real books, however if I did have a Kindle or like, that would suit me as renting is all I would need. Once I have read the book, it would not matter if I kept a copy -I rarely read a book twice. Also I would not read enough in a month anyway to make it worthwhile. I think it will have an effect on libraries, however there are still many people who prefer the actual book, as I do.